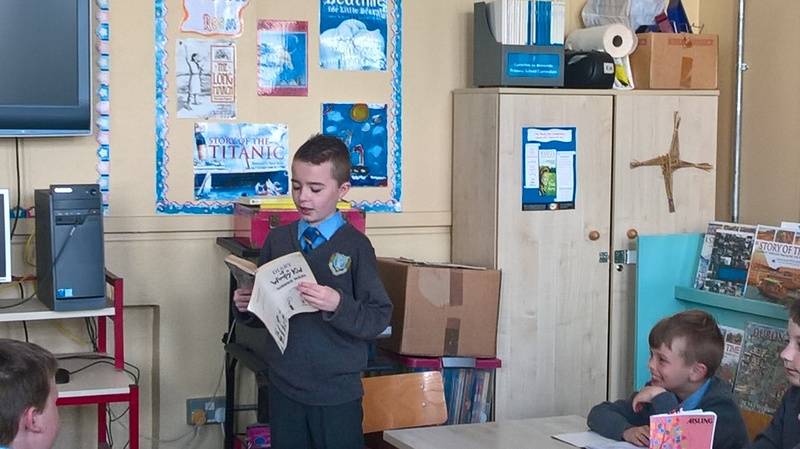 We speak to Paul Boland, Davy who returns to his former Primary School, O’ Connell CBS, Dublin 1 to take part in Time to Read. What has been a highlight of taking part in Time to Read for you so far? The energy and enthusiasm in which the children, school and parents engaged with the programme and its objectives. Also meeting Ms. 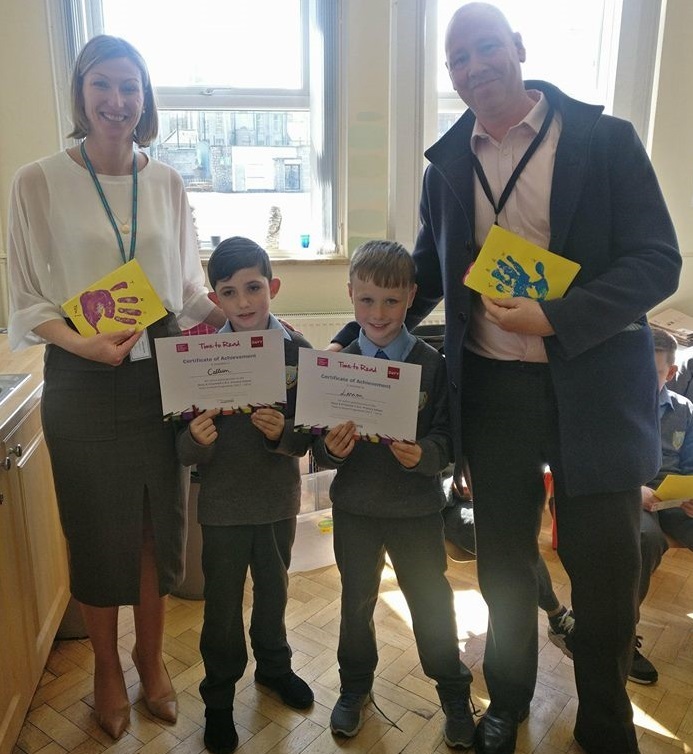 Patsy O’ Keefe and Mr. Masterson again and witnessing all the improvements and fantastic work that is being done by the school for the people of the local area. How do you think the children in the school now compare to you at that age? 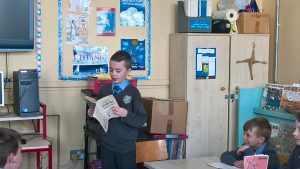 I was very impressed with both the standard of reading, and the attitude to reading of the boys. I feel that very few children at the school now would be at risk of falling through the cracks as they seem much more engaged with the curriculum than my peer group would have been. The class size when I was there would have been over 40, and now it’s down to around 17. I think the extra personal attention they receive from teachers really helps the children engage with education. They also now have fantastic support teachers, a computer room, drama room, the library and programmes like Time to Read to help build their social skills and confidence. What have you gained from taking part in Time to Read? The one-on-one aspect of the programme means you get to know the child and see first-hand the value of volunteering. It really re-enforced to me how much it means to a child to have someone take an interest in them, and how important positive role models can be at such a crucial age. Were there amusing moments from your time with your reading buddies? 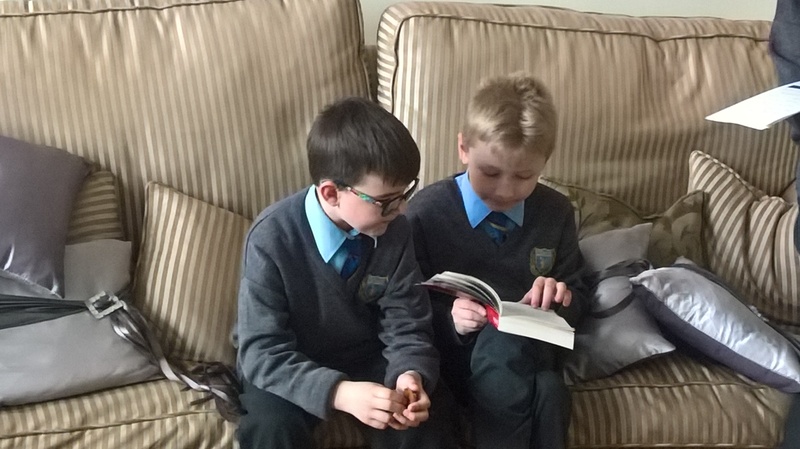 With kids these days apparently living with their heads buried in phones or tablets, it brought a smile to my face when I discovered that one of my reading buddies routine was almost identical to what mine would had been! Jump out of bed and stroll to school about 40 minutes early to get a game of football in using a tennis ball. Later start a new match for small break and finish it for big break. Would you recommend your other colleagues to take part in the Time to Read? 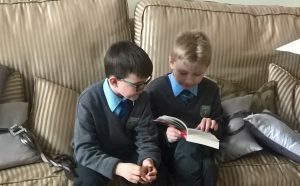 I would highly recommend taking part in ‘Time to Read’ to anyone as it gives you the opportunity to help shape a child’s attitude to education and learning. Providing encouragement and taking an interest in a child is very important to give them positive aspirations for their future and show them that their education is the most valuable tool they possess to realise those aspirations. Time to Read can definitely help a child’s confidence and provide them with an important additional frame of reference that they would otherwise not have.